I decided to read this book after my younger brother read the book, loved it, then forced me to see the movie with him. I absolutely loved the first and second movies, so I gave the book a shot. I really enjoyed reading this, and I can’t wait to read the next books in the series. I was nervous going in that because I saw the movie before I read the book, I might find the book boring and predictable. 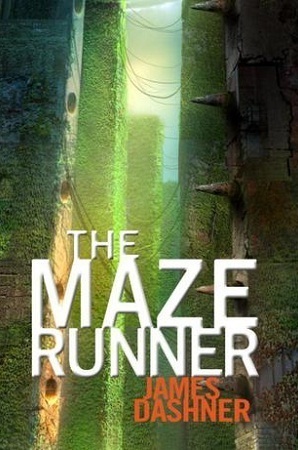 The Maze Runner was not boring at all, and I couldn’t put it down! The second half of the book was high speed and intense, which was a good change after the slightly slower paced first half. I thought that the boys’ reactions and attitudes to being stuck in such a situation was very accurate. It was also very interesting for me to see how a large group of boys would function together. As a female, I can kind of picture how a large group of women and girls trying to work together would be, so it was interesting to see how the boys worked through the situation and dealt with each other. I also enjoyed Dashner’s writing style, even though he did repeat some things a few too many times. This was probably to emphasis certain points, and ultimately it did not really impact my reading of the book. I would highly recommend this book to people who are fans of The Hunger Games, and books set in a dystopian, dangerous world. Buy the book with free shipping through Book Depository. Check out James Dashner’s website.